The Maine State Prison’s screening practices are being reexamined after several women claimed that facility guards demanded they remove their bras for setting off a metal detector. That practice is not approved by the state’s Department of Corrections. Before seeing their loved ones behind bars, women first had to prove to Maine State Prison guards that there wasn't contraband behind their bras. Now the screening practices are being reexamined after several women claimed that facility guards demanded they remove their bras for setting off a metal detector. That practice is not approved by the state’s Department of Corrections. The Maine Department of Corrections (DOC) issued a promise to enforce proper security screening procedures after nearly a half-dozen women complained that they were required to remove their bras while visiting the Maine State Prison. The women claim that they set off the metal detector, possibly due to an underwire in the bra, and were made to enter the all-male facility without a bra, the Bangor Daily News reported. Several women contacted the Bangor Daily News in February after they were made to remove their undergarment. The women claim that instead of being given the option for a pat down or to have their bra searched separately, they were told that they could not enter unless they went into a nearby bathroom and removed their bra. She’s not the only one in her family who has been forced to undress to enter the jail. Her niece, Letita, and Letita’s 16-year-old daughter, Lori, had also been asked to remove their bras. Venable contacted numerous government officials about her experience, including Republican Governor Paul LePage, the Maine Human Rights Commission and Commissioner Fitzpatrick. She only received a notification from LePage’s office that her message had been recorded, but she never heard anything else. 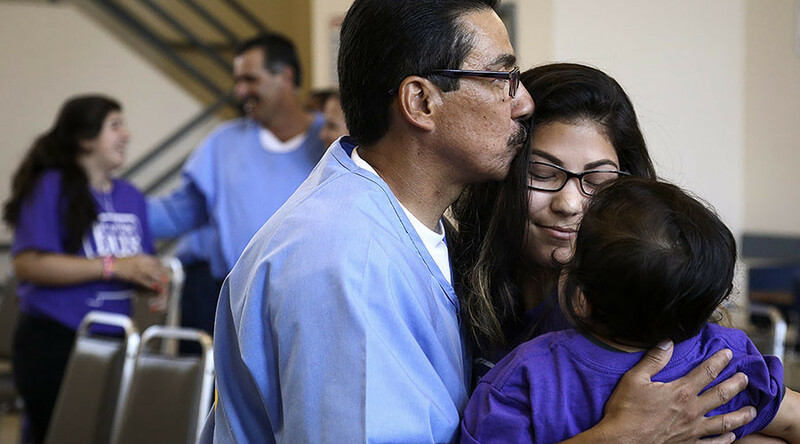 Many women opted against contacting prison officials about their experience on the chance that it would have ramifications for their loved ones behind bars or hurt their ability to visit. Letita and Lori did not provide the Bangor Daily News with their last names, because of these concerns and several other women interviewed by the newspaper made similar choices. “Everybody’s worried about not getting their visit, [because] the more you complain, the more you’re kicked out,” Fern Ward, Venable’s sister, said. However, the state guard guidebook does not recommend women remove their bras if they activate the metal detector. Instead, guards are expected to give visitors “three attempts to successfully pass through the metal detectors” and does not include brassieres as a recommended item to remove when going through security. Fitzpatrick announced that the problem would be tackled by instituting a more uniform visitation policy by holding those who do not follow regulations accountable and making examples out of them. “If there’s a way to do this without putting our hands on the public, I’d like to do it,” Fitzpatrick said.